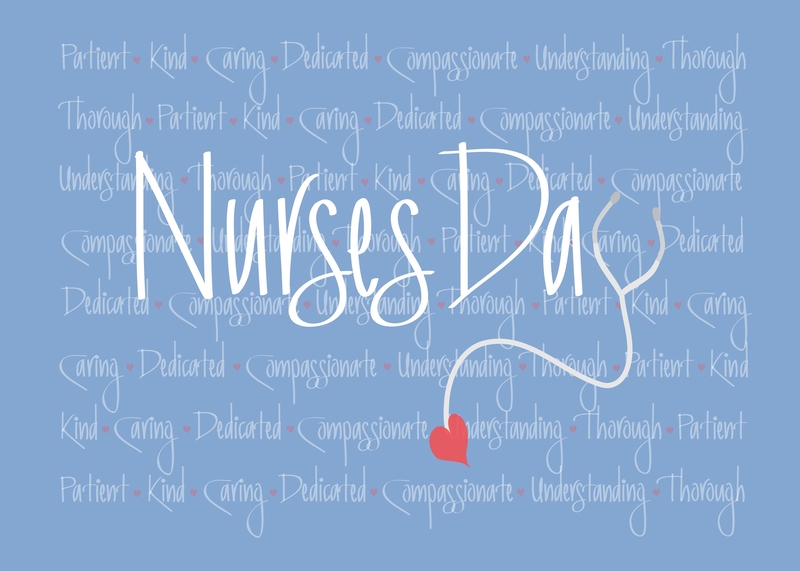 In 1953 Dorothy Sutherland, an official of U.S. Department of Health, Education and Welfare, proposed that President Dwight D. Eisenhower proclaim a "Nurses' Day". Since 1965, The International Council of Nurses (ICN) is celebrating the nurse’s day each year. Every year, ICN prepares and distributes the International Nurses' Day Kit. This kit contains educational and public information materials, for use by nurses everywhere. Nursing Duties. Registered nurses often work in hospitals or outpatient facilities, where they provide hands-on care to patients by administering medications, managing intravenous lines, observing and monitoring patients' conditions, maintaining records and communicating with doctors. Each year a service is held in Westminster Abbey in London. During the Service, a symbolic lamp is taken from the Nurses' Chapel in the Abbey and handed from one nurse to another and finally to the Dean, who places the lamp on the High Altar. This signifies the passing of knowledge from one nurse to another. At St Margaret's Church at East Wellow in Hampshire, where Florence Nightingale is buried, a service is also held on Sunday after her birthday. The U.S. government and also Canada government celebrates National Nursing Week each year from 6th May to 12th May (the birthday of Florence Nightingale). The Canadian Minister of Health instituted National Nursing Week in Canada in 1985.In the U.S., National Nurses Week was first observed from October 11–16, 1954 in honor of the 100th anniversary of Florence Nightingale's mission to Crimean War. President Nixon later proclaimed a "National Nurse Week" in 1974. In 1982, President Reagan signed a proposal officially designating May 6 as "National Recognition Day for Nurses," now known as National Nurses Day or National RN Recognition Day. In 1990, the American Nurses Association (ANA) expanded the holiday into the current National Nurses Week celebrated from 6 May to 12 May. In 1997, at the request of the National Student Nurses Association, the ANA designated 8 May as National Student Nurses Day. In 2003, the ANA designated the Wednesday within National Nurses Week as National School Nurse Day. The National Association of School Nurses, however, claims that National School Nurse Day has been recognized since 1972. Florence Nightingale, (12 May 1820 – 13 August 1910) was a celebrated English social reformer and statistician, and the founder of modern nursing. She came to prominence while serving as a manager of nurses trained by her during the Crimean War, where she organized the tending to wounded soldiers. She gave nursing a highly favorable reputation and became an icon of Victorian culture, especially in the personality of "The Lady with the Lamp" making rounds of wounded soldiers at night. Some recent commentators have asserted Nightingale's achievements in the Crimean War were overstated by the media at the time, to satisfy the public's need for a hero. Nevertheless, critics agree on the significant importance of her follow-up achievements in professionalizing nursing roles for women. In 1860, Nightingale laid the foundation of professional nursing with the establishment of her nursing school at St Thomas' Hospital in London. It was the first secular nursing school in the world, now part of King's College London. The Nightingale Pledge taken by new nurses was named in her honour, and the annual International Nurses Day is celebrated around the world on her birthday. Her social reforms include improving healthcare for all sections of British society, advocating better hunger relief in India, helping to abolish prostitution laws that were over-harsh to women, and expanding the acceptable forms of female participation in the workforce. Nightingale was a impressive and versatile writer. In her lifetime, much of her published work was concerned with spreading medical knowledge. Some of her tracts were written in simple English so that they could easily be understood by those with poor literary skills. She also helped popularize the graphical presentation of statistical data. Much of her writing, including her extensive work on religion and mysticism. 3. “Women never have a half-hour in all their lives (excepting before or after anybody is up in the house) that they can call their own, without fear of offending or of hurting someone. Why do people sit up so late, or, more rarely, get up so early? Not because the day is not long enough, but because they have 'no time in the day to themselves”. 6. “It seems a commonly received idea among men and even among women themselves that it requires nothing but a disappointment in love, the want of an object, a general disgust, or incapacity for other things, to turn a woman into a good nurse. On 13 August 1910, at the age of 90, she died peacefully in her sleep in her room at 10 South Street, Mayfair, London.The offer of burial in Westminster Abbey was declined by her relatives and she is buried in the graveyard at St Margaret's Church in East Wellow, Hampshire, near Embley Park. She left a large body of work, including several hundred notes that were previously unpublished. A memorial monument to Nightingale was created in Carrara marble by Francis William Sargant in 1913 and placed in the cloister of the Basilica of Santa Croce, Florence.